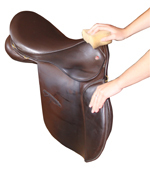 Although potentially expensive to buy initially, good quality saddles and bridles, when properly maintained, can more than repay their original investment. After all, a well fitting, good quality saddle is there to help keep you and your horse comfortable, healthy and safe; and remember, the right saddle can enhance and optimise equine performance, so skimping by purchasing cheap or inferior tack is never a wise move. 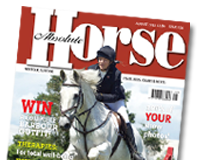 Saddler David Kempsell of WOW Saddles gives sound advice on storing, cleaning and securing your tack.